Jadeite is being developed as part of the Natural Programming Project in the School of Computer Science at Carnegie Mellon University. We’re affiliated with the EUSES consortium, which is a group of universities working on end-user software engineering. 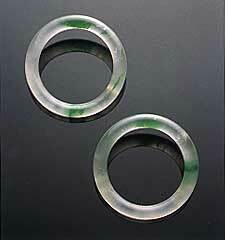 Font sizes in Jadeite are based on the number of Google hits. For example, in the java.io package, the File class has more Google hits than the Console class, so it is shown larger. Can’t find what you want? Add a placeholder for the method or class you wish was there, and it will be displayed alongside the real API. Eventually find what you want? Annotate the placeholder with links to the actual API that you need to use instead. Jeffrey Stylos, Andrew Faulring, Zizhuang Yang, Brad A. Myers. “Improving API Documentation Using API Usage Information.” 2009 IEEE Symposium on Visual Languages and Human-Centric Computing, VL/HCC'09. Sept. 20–24, 2009. Corvallis, Oregon. pp. 119–126. Jadeite is a new Javadoc-like API documentation system that takes advantage of multiple users’ aggregate experience to reduce difficulties that programmers have learning new APIs. Previous studies have shown that programmers often guessed that certain classes or methods should exist, and looked for these in the API. Jadeite’s “placeholders” let users add new “pretend” classes or methods that are displayed in the actual API documentation, and can be annotated with the appropriate APIs to use instead. Since studies showed that programmers had difficulty finding the right classes from long lists in documentation, Jadeite takes advantage of usage statistics to display commonly used classes more prominently. Programmers had difficulty discovering how to instantiate objects, so Jadeite uses a large corpus of sample code to automatically the most common ways to construct an instance of any given class. An evaluation showed that programmers were about three times faster at performing common tasks with Jadeite than with standard Javadoc. Please send any questions or feedback to bam@cs.cmu.edu.